We began our operational activity in the market in 1994. Experience is our main advantage, as it corresponds to the high quality of the products we manufacture and the professional customer service at the stages of manufacturing, sale and delivery of our products. The popularity of our products is confirmed by the fact that the commercial tents, tables and umbrellas by Gra-Lech are present at many market squares and during numerous events, as both held in Poland and the remaining part of Europe. Many large and renowned companies have decided to co-operate with us. Within the period of more than 20 years of our activity, we have been constantly modifying the design of our products in order to make them undergo improvement, become more functional and easier-to-operate. Each of our products has all of its parts manufactured in Jordanów, the home to the registered office of the company. We only use Polish raw materials. We have our own ironworks and galvanising plants, a design office, sewing rooms and a sublimation printing workshop. Due to this, our products are subject to complete manufacturing process in a timely manner, having each stage of production under our control. We co-operate both with individual customers and companies, as well as with state institutions. We approach each customer individually which makes our company held in high regard both in Poland and abroad. Each of our products is under warranty. By purchasing the products of Gra-Lech company, one may be assured of purchasing a durable Polish product, resistant to difficult weather conditions that will serve them for many years. 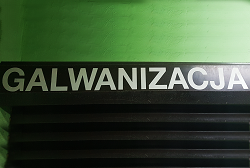 We kindly invite you to visit the main office of our company, based in Jordanów. 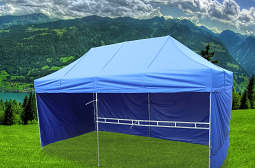 The offer of Gra-Lech company also covers tent-rental service. The tents rented may serve as: commercial space, party venues, refreshment stands, storage chambers, service points and space used for special purposes or events. Call us, reserve the date, receive your tent and enjoy the quality of the tents we manufactured without any expense incurred with regards to purchasing a whole tent! We perform the service of subjecting a range of products to galvanisation. Our baths have the length of 3 meters, therefore we are able to apply the coating on many different elements. Performing the galvanisation may be related to the decorative function of a given object or serve the anticorrosive function. The process of galvanisation is accompanied by cleaning the metal surface which also causes the change of its structure. Due to the fact that we apply additional layers on our products, they are characterised by chemical resistance and brought to a higher-gloss. The galvanic coatings are also applied to achieve decorative purposes. Great protection features combined with the low cost of galvanisation make this form of protecting materials unrivalled. The products we sell are also delivered by an external delivery company. The shipping is performed in the territory of Poland, but it also encompasses whole Europe. Each consignment should be deliverable to the customer within 24 hours from the time of its shipping from our main office. If you wish to receive the product complimentarily, it is possible to arrange it en route. The only condition is to meet our driver on the route they are following. It is also possible to receive the product personally in our main office. We invite you to visit us!